One or more missing teeth can make eating difficult and cause you to feel self-conscious about the appearance of your smile. Dental implants offer a natural looking and feeling option for replacing missing teeth and restoring confidence. When it comes to dental implant treatment, good planning yields better results with greater success rates. Today we'll take a look at what dental implant planning generally entails. For help planning your dental implant surgery, contact the Harlem Center for Aesthetic Dentistry in New York, NY. 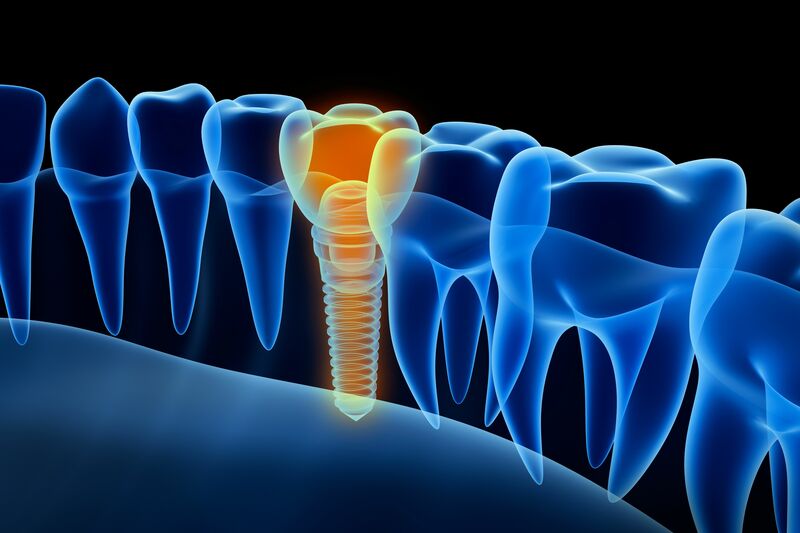 Dental implants are screw-like posts that are surgically placed within the jawbone to act as artificial tooth roots. After implantation, the jawbone will fuse with the implant, allowing the implant to function just like a natural tooth. The first stage of planning for dental implant treatment is to determine candidacy for this treatment. Ideal candidates for dental implant treatment should be in relatively good general health and have sufficient jawbone at the desired implantation site to support the dental implant. In circumstances where there has been a loss of bone density, commonly seen in prolonged tooth loss, a bone graft may be necessary before dental implant treatment can be performed. Through bone graft surgery, bone from the patient's own body or an artificial material may be used to restore the jawbone. If a bone graft is necessary, this may add several months to the dental implant treatment and recovery process. Dental implants may be paired with a variety of dental restorations, including dental crowns, implant-supported dentures, or implant-supported bridges. The right restoration will depend on the number of missing teeth as well as the patient's desired outcome. For those missing only one or two teeth, a dental implant paired with a crown is often the best option. For those with more than two neighboring missing teeth, a dental bridge restoration may be most suitable. For those missing a full arch of teeth, implant-supported dentures may be most beneficial. Integral to planning dental implant surgery is determining the ideal placement of the implant. This is done by evaluating the patient's jaw with X-rays and a special scanner to create a 3D image of the teeth and jaw. These imaging techniques allow the oral surgeon to locate the ideal position for the placement of any dental implants to ensure that once the restorations are attached to the implants, they will function comfortably and feel natural. The final stage in planning for dental implant surgery is to go over pre-op and post-op instructions. Understanding what to do before and after surgery can help ensure a smooth and speedy recovery, and improve the chances for implant success. At this time, patients will also be advised on the recovery timeline and how soon they may be able to enjoy the benefits of dental implant treatment. For more information about dental implant treatment and to receive your personalized treatment plan, we welcome you to schedule a consultation at the Harlem Center for Aesthetic Dentistry.